Purchase this product and earn 53 Reward Points! Learn more. Helps the mature female body balance hormones. Strengthens the body by providing nutrients for the structural system. Aids the body under stress. Around age 50, many women experience menopause and its symptoms due to a natural decrease in hormone levels. 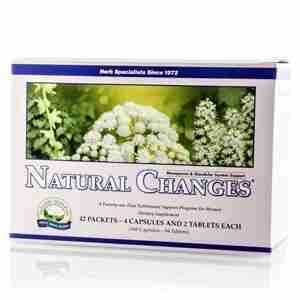 Natural Changes provides nutrients and herbs that help support the mature female body going through life’s changes. C-X provides herbal support for the reproductive glands of mature women. Wild Yam & Chaste Tree nourishes the female reproductive system. Super GLA provides a generous amount of essential omega-6 fatty acids (both linoleic and gamma-linolenic acid). 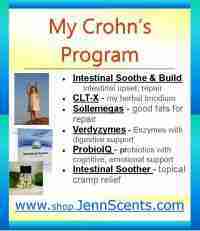 In the body, these can be converted into eicosanoids. These hormone-like compounds regulate many important bodily functions and processes, including heart health, already-normal-range blood pressure maintenance and hormonal responses. Skeletal Strength contains minerals and other building blocks the body can use to manufacture bones, muscles, ligaments, tendons and skin. These nutrients counteract many of the forces that rob the structural system of strength and flexibility. Nutri-Calm supports the nervous system, especially when under stress, by providing generous amounts of B-vitamins in a base of herbs known to support optimal nervous system health. Two capsules of C-X, one capsule of Wild Yam & Chaste Tree, one softgel of Super GLA Oil Blend, one tablet of Skeletal Strength and one tablet of Nutri-Calm. Take the contents of 1 packet in the morning and another packet in the evening.